I love the LeverEvolutions for factory loads in 45-70. I have no problems with the thought of putting them into bear and elk should they give me a shot this fall. However, I will be trying out different bullets when I get the dies this winter. They hit super hard. Here is the very first trigger pull on my gun. I got it home with a plan to take out the next day. My wife wanted a walk and on that walk, we heard a fawn getting killed by an unknown predator. Having tags for everything I got my new hammer loaded and went back to the spot. This coyote came out of the brush 10 yards away and the shot anchored hit like I have never seen. Dropped right in his tracks and never moved. Last edited by Dawei; 08-01-2018 at 02:32 PM. Maineiac, Slugnut, Judson and 2 others like this. With all due respect, Sir, I beg to differ. If a shooter puts several through the barrel in a minute's time and chambers another but does not fire, the temperature of the powder in that last cartridge will sky rocket in a matter of seconds. The scenario I just described has played out countless thousands of times. If double base powder were not temperature stable, the chamber pressure of that last round would achieve dangerous levels if that last round were fired at peak temperature. I would suggest you contact the good folks at Hornady and ask about this. They would be happy to connect you with one of the ballisticians. The last time I owned a 45-70, Hornady was not yet producing this ammo. I'm about to take possession of a 45-70, so I investigated the ammo options and offerings on the market. I found some stuff that's over the top expensive with no apparent advantage attached to it. Unless I missed something (very possible), the LeveRevolution has the highest velocity and bullet energy. E.G. : the 45-70 load of 450 grains produces just over 2,000 FPS and just over 3,000 foot pounds of energy. And if that's not enough to convince me, it costs less than all the other offerings! I wish I had had the good fortune to read your experiences with this ammunition in your 336 before I purchased 5 boxes of the stuff. I bought it because I had heard it was the best 30-30 ammo, but it turned my 336C into a scattergun. Like you, I don't think it is a problem with the ammo, my rifle just did not like it. As far as performance on game I can't comment on that part, YET. I'll be deer hunting with my Marlin in 35 Rem this year so I can revisit and comment then on that. As far as accuracy all I can say out of my rifle is WOW! It was so good I've tweaked it with a hand load using Hornady brass, leverevolution powder, and 200 FTX bullet, COL set to factory ammo, and this lever gun is just as accurate as my Ruger American 308 at the distances I generally hunt. The target below was 4 shots at 50yds, bench with open sights. Load data is on the target but if any duplicates that you do so at your own risk. I see no signs of pressure and according to my 10th edition of Hornady reloading book not at max load but pretty close. I have used both 140gr and 160gr flex tips factory and reloads. The factory loads gave me good hunting accuracy, I slightly improved my groups with my reloads and added about 80fps over the factory loads. It could be just my rifle but as I went up with my ladder loads my accuracy improved. The only problem I had when I first started shooting them was at 100yds my group was off my target completely. I didn't know what was going on tell I moved to the 50yd range and my groups were running about 4" higher than my 150gr loads. I wonder if anybody else has experienced this or if it is only my barrel harmonics. 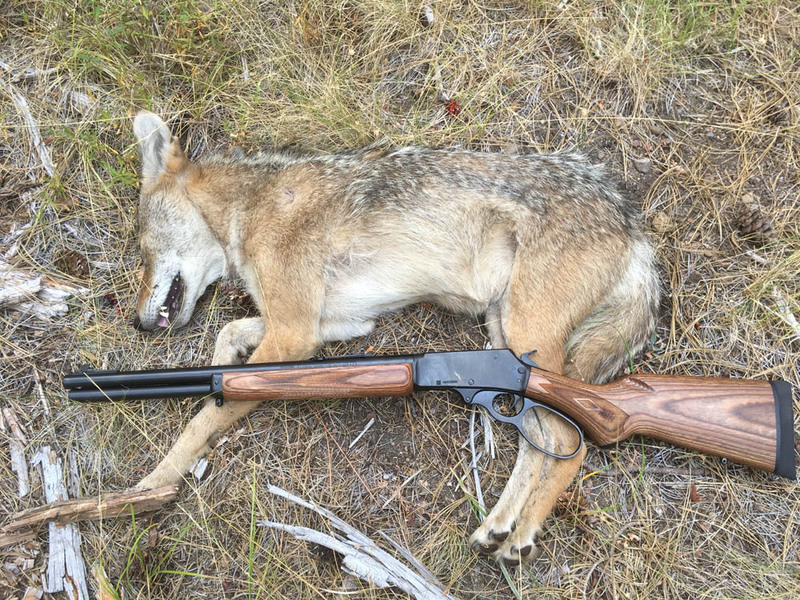 - 45-75, 1895XLR... Have killed several deer with the 325gr loads out of my 45-70 1895XLR. Very accurate too 100 yards and beyond... and puts big holes through the deer shot. - 338ME, 338MXLR... Highly accurate out to 200yrs and hammers the deer like a 30-06. - 44Mag, 1894SS... Highly accurate @ 100yrds and hammers them as good as my inline muzzleloader with 44cal sabot bullets. - 357Mag, 1894CSS.. Highly accurate out to 100 yards, but round starts dropping like a rock beyond that. Have not killed anything with the load yet. But based on what it does to a gallon jug of water... I have no doubt they easily will take deer under 100 yards. - 30-30, 336CS x2, 336SS & 336BL... This was my only disappointment. Could not get the 160gr LeverEvolution to consistently group in any of my Marlin 30-30 rifles... Yet, the Federal 170gr PowerShok grouped outstanding. 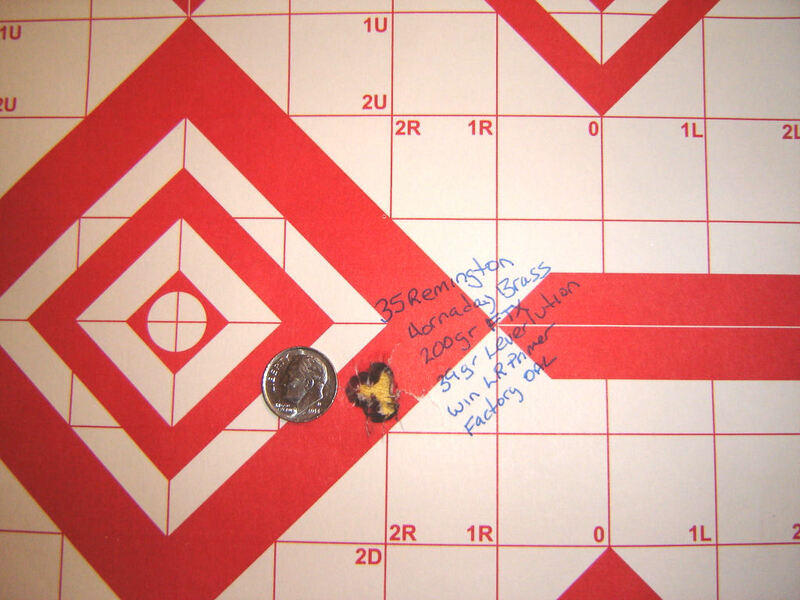 Even found the Remington 125gr managed recoil loads grouped near Identical to the 170gr Federal loads.